Village tour and trek in Nepal is very interesting package that provides a great opportunity to experience the real Nepal and Nepali people and to learn their life style, ritual and culture. About 80 percent of Nepali people from diverse caste, ethnic, cultural and religious background live in the village in mountain, hill and terai (plane) region. In Nepal, we have more than hundred ethnic groups who have their own custom, festivals, culture, dialect, typical houses, professions and food. The traditional profession of indigenous peoples are, among others, farming, fishing, boating, wooden handicrafts, and metal handicrafts and production of woolen blankets. Some villages resided by majority of indigenous peoples in Nepal are given an indigenous name. In addition, there are many people in Nepal living in the villages with particular socio-economic and cultural background. Tourists can learn from the village people about the community cultivation, harvesting, including local knowledge and skills. Many beautiful villages in Nepal are visited by thousands of tourists and development and social workers from the developed countries. Sirubari village tour in Nepal is one of the best villages to explore. Sirubari village lies south-west of the beautiful Pokhara valley. To get to Sirubari it takes about 5 hours from Pokhara. Sirubari nestled at the height of 1,700m above the sea level. Sirubari village is inhabited entirely by Gurung indigenous peoples. The trail is stone paved. The slate built houses are the main attraction to remind the ancient life of people in the hilly areas. A short walk to sirubari village offers visitors a spectacular Himalaya panorama. 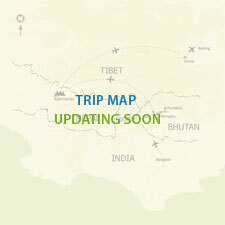 The living culture and tradition of Gurung people and their rich hospitality makes the trip a memorable event of life.